By definition, a supernatural or paranormal phenomenon is an event that defies explanation in terms of the typical human experience. Examples of paranormal phenomena include ghosts, cryptids, telekinesis, and other forms of psychic powers or supernatural entities. It is something that science can't explain; at least not yet. There are myriad experiences that fall within the realm of the paranormal. Here are a few broad categories to give you an overview of just how much "supernatural" activity is reported around the globe. Ghosts might be considered the grand-daddy of paranormal experiences. Everyone has some level of curiosity about what happens when they die. Is there really life after physical death? Are spirits capable of communicating with the living? Some people believe so, and some desperately hope it's true. Wherever you stand on the topic, many people have reported seeing misty apparitions of human forms, some familiar and others unknown. There are a number of theories about what ghosts may be and how they may manage to communicate with the living. Paranormal researchers look for evidence of this communication in various ways. Many paranormal researchers believe they capture ghost voices on tape with the phenomena of electronic voice phenomena, or EVP, which they capture on digital recorders or devices like spirit boxes. Some researchers believe when a spirit is present, it will create a disturbance in electromagnetic frequency (EMF), which they can detect on a device called an EMF detector. Others believe they can capture photographs of spirits, and many share what they believe are ghost pictures. Current parapsychological theory holds that a ghost's pure consciousness exists as energy and is able to communicate through extrasensory perceptions such as clairaudience and clairvoyance. Interestingly, it is believed that the creatures that exist in this supernatural realm are not necessarily dead, but rather can be the consciousness of anyone, living or dead, that is currently disembodied. In other words, a living human who is having an out of body experience or astral projection may appear to someone else as a ghost. Om Times notes these spirits are essential for creating, sustaining, and renewing life on earth, and they have supernatural abilities that help them with these tasks. Although many people believe angels to be religious in nature, many people feel there are supernatural beings called guardian angels who watch over and protect them. These may also be referred to as spirit guides. Opinions are split as to whether demons actually exist, and some people misperceive spirit activities from ghosts as being demonic activity, but there is a theoretical difference between the two. Demonology is a popular paranormal topic. There are many in the paranormal community, such as the controversial Lorraine Warren, who have dedicated their paranormal careers to demonology. From a faith-based perspective, there is a wide-spread belief that demons are the minions of Satan; however, many modern paranormal researchers eschew this idea. Instead, they believe that what is thought to be a demon is really just an angry ghost or a misunderstood spirit. Many believe that people retain their personalities from life into the afterlife, and a demon may just be a person who was not very nice in life and is continuing on in the afterlife. The Roman Catholic church remains among the foremost experts on demons, and the church still trains priests as experts who assist people believe to be possessed by demons by performing exorcisms. Poltergeist phenomena is one of the most misunderstood types of supernatural activity, according to parapsychologist Loyd Auerbach. 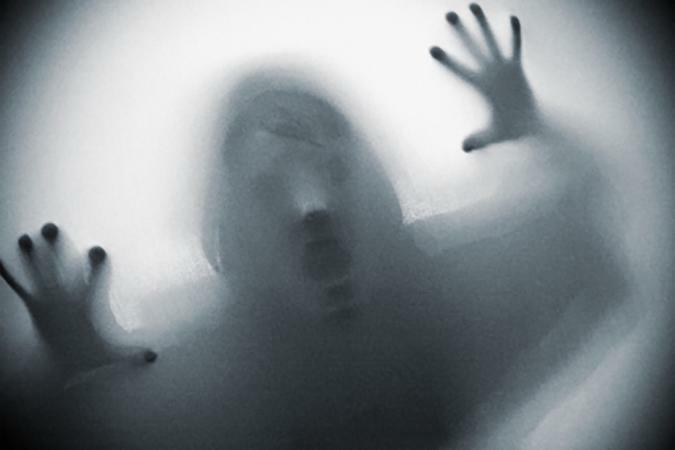 Poltergeists are often referred to as "noisy ghosts," and their activity includes moving of objects, opening and closing of doors, and many other odd phenomena. Within paranormal realms, poltergeist hauntings are often the most feared because they can be terrifying and even violent. Many are surprised to learn that parapsychologists believe poltergeists have nothing to do with haunts or dead people, as parapsychologist Loyd Auerback explains in an interview with LoveToKnow. According to Auerbach, poltergeist activity is actually a manifestation of psychokinetic energy from a living human who is likely unaware they are causing the activity. There is great debate in the paranormal field about whether orbs are caused by supernatural activity. While many believe orbs are spirit manifestations or the appearance of supernatural entities like angels, others feel they are merely photographic artifacts or dust particles. However, orbs do appear regularly in videography and photographs captured by paranormal investigators and experiencers, so the debate is likely to continue. Hauntings are supernatural experiences that are typically attached to a location. They can involve ghosts, but this isn't always the case. According to The Atlantic Paranormal Society (TAPS) article Get to Know Your Ghosts, hauntings can be classed as residual, poltergeist, or intelligent hauntings. However, in parapsychological research, what is often referred to as a residual haunting, activity that involves a scenario repeating itself over and over in a given location at a general time of day like you're watching a supernatural re-run of a TV program, is actually simply called a "haunting," and it is differentiated from the term "ghost" or "apparition" because a haunting is a replay of energy that doesn't have any intelligence, while a ghost or apparition is an apparently intelligent and interactive event. Closely related to the phenomena of UFOs is alien abduction. Since the early 1960s when Betty and Barney Hill reported being abducted by aliens and taken aboard a ship, there have been hundreds of reports all around the world, including some made famous in books and movies, such as Whitley Strieber's 1985 reported abduction he shared in his book Communion, and the claimed abduction of Travis Walton. Stories among abuductees bear remarkable similarities, and details don't waver under hypnosis, leading organizations like International Center for Abduction Research (ICAR) to conduct ongoing research into this fascinating phenomenon. Bigfoot researchers like Dr. Jeff Meldrum argue that cryptozoology shouldn't fit in the category of paranormal activity because the likelihood is some of these creatures (including bigfoot) exist and aren't supernatural creatures, but just animals that have not yet been discovered and classified. DNA testing is ongoing to discover evidence of the origins of these creatures. Some people consider the infamous Patterson-Gimlin footage captured in California in 1967 to be the strongest and most compelling video evidence to date of the existence of Bigfoot. This fascinating branch of paranormal research is all about animals as yet unidentified and cataloged by conventional science. One type of potential supernatural creature that is currently scaring the heck out of people is that of black-eyed kids. These youth are said to have eyes of pure black, and they appear to people stating they are in distress and in need of assistance. People encountering them report feeling terror. The belief in these paranormal creatures has been around for centuries, usually arising from stories passed down through cultures to explain elements of life that couldn't be easily understood. Some people report sightings of werewolves, mothman, and vampires, potentially lending credence to myths surrounding these legendary creatures. Also included in psychic abilities are empathy (experiencing someone else's feelings as your own), psychometry (receiving psychic information from touching objects), telepathy or ESP (psychic communication), and animal communication. Many organizations, including the Society for Psychical Research (SPR) in the UK and the Institute of Noetic Sciences (IONs) are conducting ongoing research into this phenomena. Many people group various phenomena, such as reincarnation and near-death experiences into a category known as survival of consciousness after death. These are experiences people share through hypnotherapy, recovered memories, and various other routes that suggest their soul continued on after the death of a physical body. Many people from cultures around the world share stories of reincarnation and researchers like Dr. Ian Stevenson and Dr. Walter Semkiw have dedicated their life's work to researching reports of reincarnation. Likewise, Dr. Raymond Moody and others like him have researched near-death experiences and report remarkable similarities among experiencers. The terms supernatural and paranormal mean essentially the same thing. They are phenomena that people report experiencing that can't be explained by existing science; they exist outside of what is considered "normal" by today's society. This is only a small sampling of things that can be considered supernatural and paranormal phenomena. With the current level of paranormal research, science may find soon find answers to many unexplained phenomena. Until then, they represent how much humanity still has to learn about the universe.